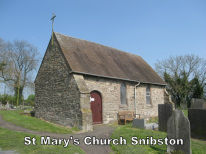 St Mary’s, Snibston is a delightful little church in which the prayers of many years give an atmosphere of peace and tranquillity. You will find it off the beaten track along St Mary’s lane next to Grange Farm . Now kept open in daylight hours as a place of quiet for prayer and reflection and visitors are welcome at any time. There are two services held here each month, one early morning service of Holy Communion and one evensong. Both give a great opportunity to experience the sense of God’s presence in this very special place, and although it is small, St Mary’s is still also used for weddings & baptisms today.